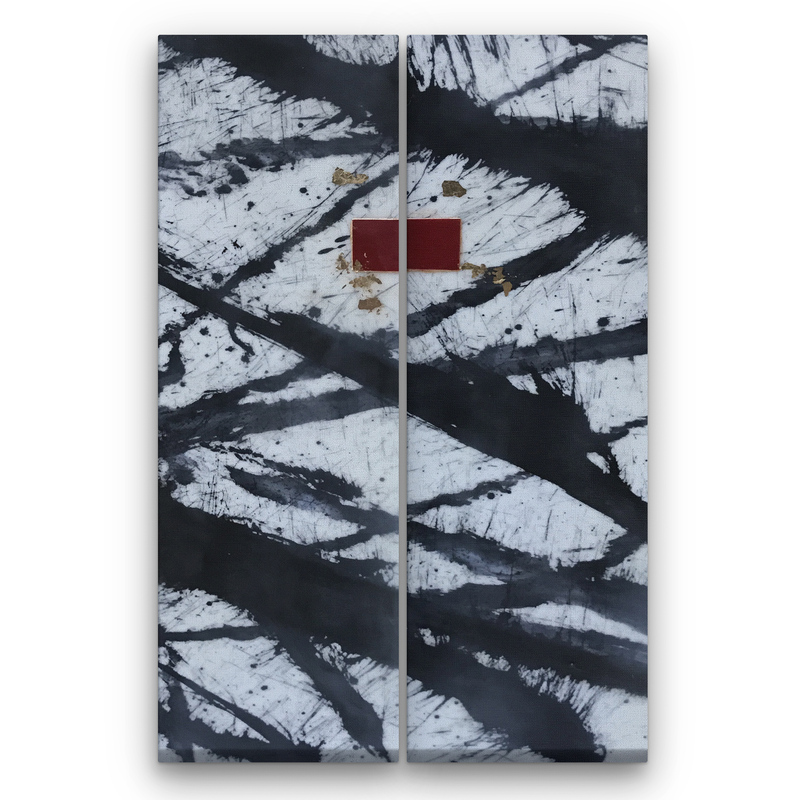 Size: 6 x 24" on a cradled wooden panel, diptych is 12 x 24"
A highly energized explosion of India ink on a white background, layered with the dreamy fog of encaustic. 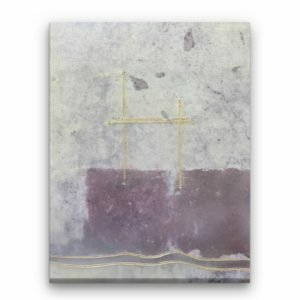 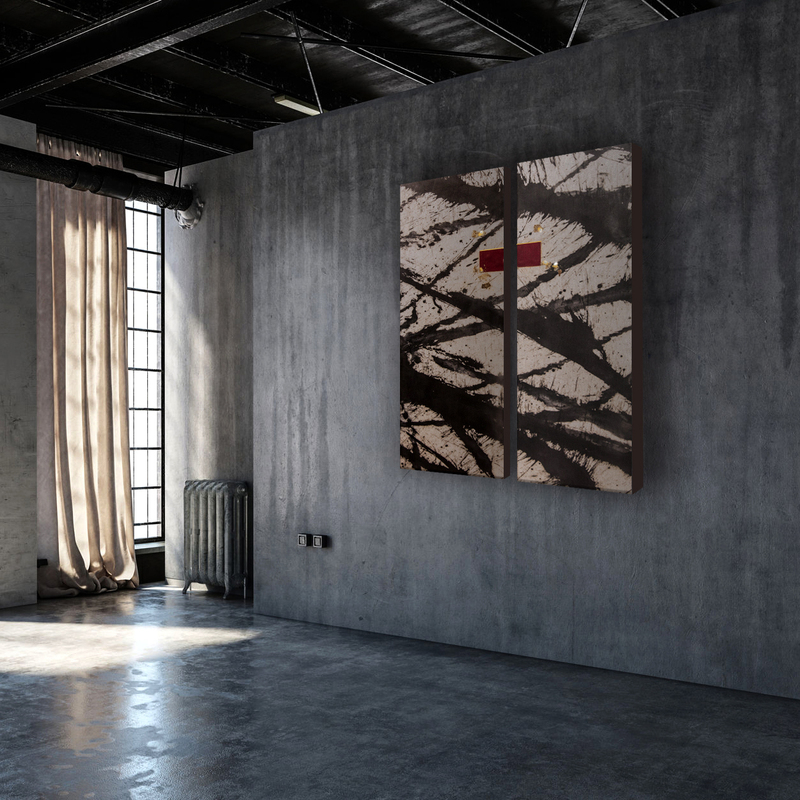 The focal point of red encaustic rubbed in gold oil and layered with gold leaf, provides a sharp contrast to the strata of the background. 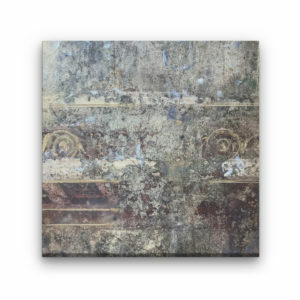 The composition imparts a sense of treasure found amid rubble. 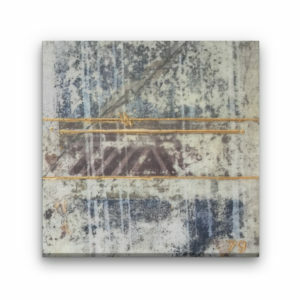 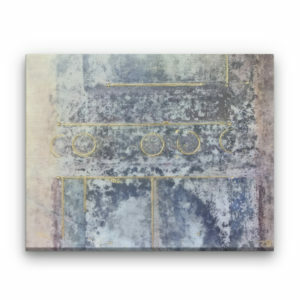 Photo encaustic with oil - 12" x 12"